A state track and field meet are hard to describe unless you have experienced it yourself. It is the most amazing and well-attended state championship event in high school sports. What it takes to win a state championship as a team depends on the year. Kirkwood high school legend Alvin Miller won a state title almost by himself winning four events and with a little help from his teammate in the discus. Mr. Miller's performance still goes down as one of the most amazing stories in the history of Missouri sports. That state championship took two kids. 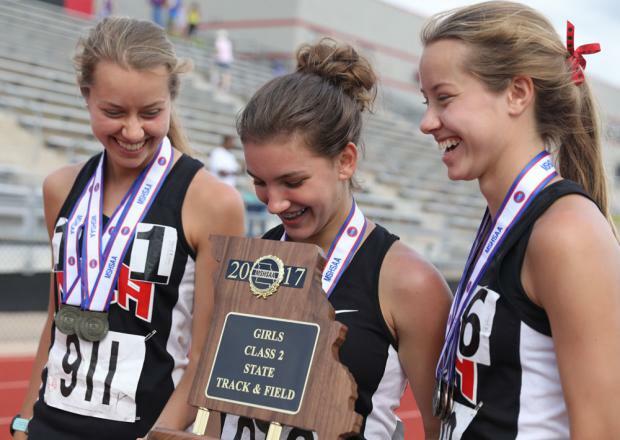 Well, this year New Covenant took two sisters and a pole vaulter down to Jefferson City and walked away with a state title. The Dury signees, the McCune twins have had a great senior year. They have been household names in Southeast Missouri and next year will continue their success at the next level. However, they had some unfinished business before they joined their roommate and my Dury signee Abigayle Judd. :) That's going to be one fast room! It was state championships or bust. The McCune sisters rolled over most of the competition by scoring 47 of their team's 57 points. Claire had the craziest day of the twins winning the distance triple crown placing first in the 800, 1600, and 3200. 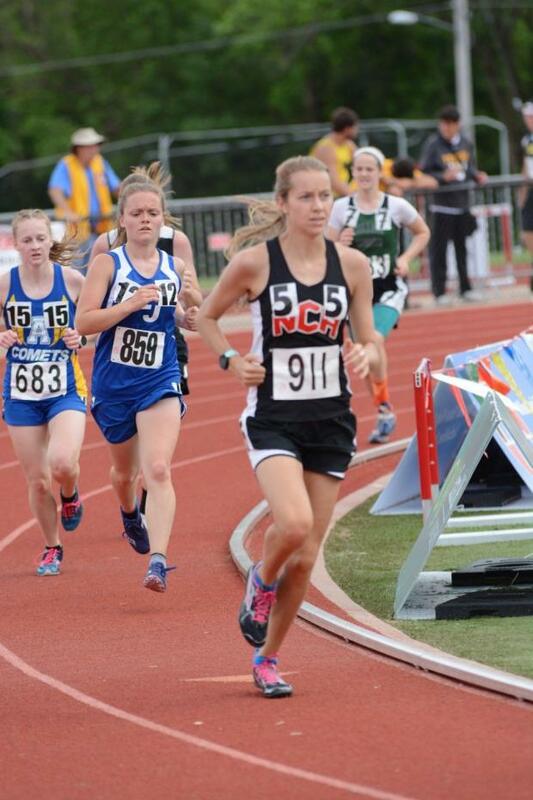 Katie kept her sister close placing 6th in the 800, 2nd in the1600, and 3rd in the 3200. Even with all the points, the McCune sisters were able to score the needed some help from their high-flying teammate sophomore Paige Cummings. Paige Cummings dominated the field clearing eight heights en route to her state to her 10-1 foot victory over the rest of the Class 2 field. 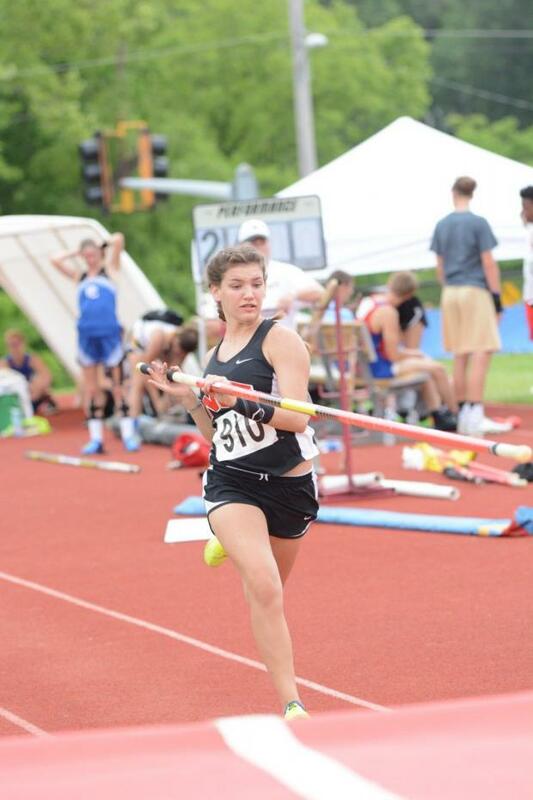 Thankfully, Paige contributed the ten points she did by winning the individual state title as New Covenant won by just one point over Class 2 rival Jefferson of Festus.